Description Scanned as B & W; appears to be a copy of a photo that had ink splatters on it. Stamped on front: Clackamas County Historical Society. 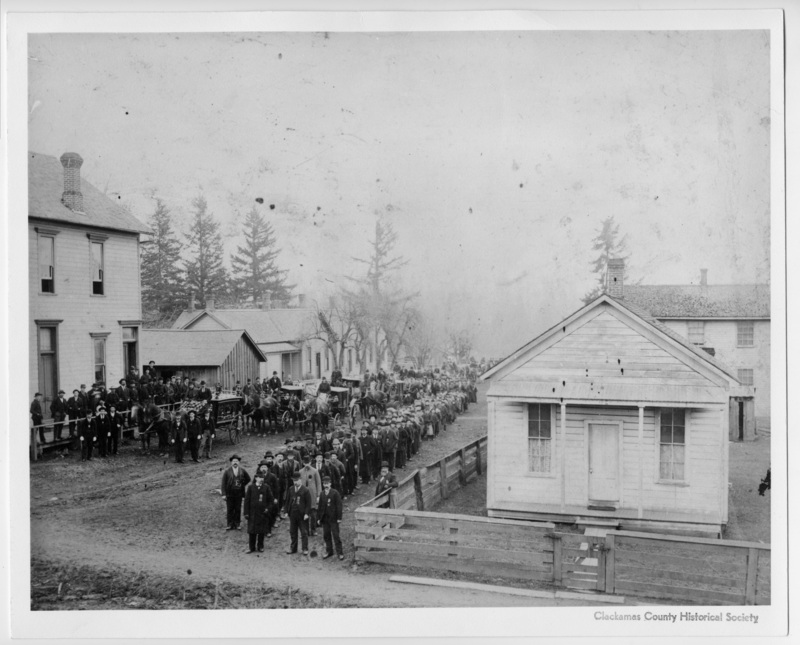 Caption from the book "Iron, Wood & Water": Four hundred people attended the funeral of George Prosser's third wife, Dena, on February 8, 1895.